Whether or not the UK stays or leaves the European Union, new data protection laws will still apply to your business if you deal with others in the EU. This year the Network and Information Security Directive (NISD) is due to come into force, followed by the General Data Protection Regulation (GDPR) in 2018. Only half of UK IT decision-makers are aware of the coming EU General Data Protection Regulation, compared with 87% in Germany, according to a survey by Trend Micro. UK data protection laws have remained fairly static over the last 20 years, the existing UK Data Protection Act dates from 1998. Yet the digital technological landscape has changed dramatically in this time and data breaches have become an all too common occurrence in recent years. To this end the GDPR sets out to address this gap between the law and technology and, as stated above, even if the UK leaves the EU any company that wishes to do business in EU will need to comply. Taking a gamble on Brexit is probably not advisable even if your organisation is focused solely on business in the UK and outside the EU. In fact it is sensible that UK businesses start to plan for this new regulation now. When it comes into force in 2018 there will be a two year adoption period, after which it becomes enforceable across all EU countries by data protection authorities and the courts. Two to three years is not a long time to address key changes and put best practice in place, which is why we are already advising our clients on data protection with GDPR in mind. What do you need to consider and start planning for? Compliance: We’ve helped a number of clients such as Marketing Sciences Unlimited, a market research agency; map out a range of services to address security audits and compliance in a business where data protection is paramount in all their dealings. 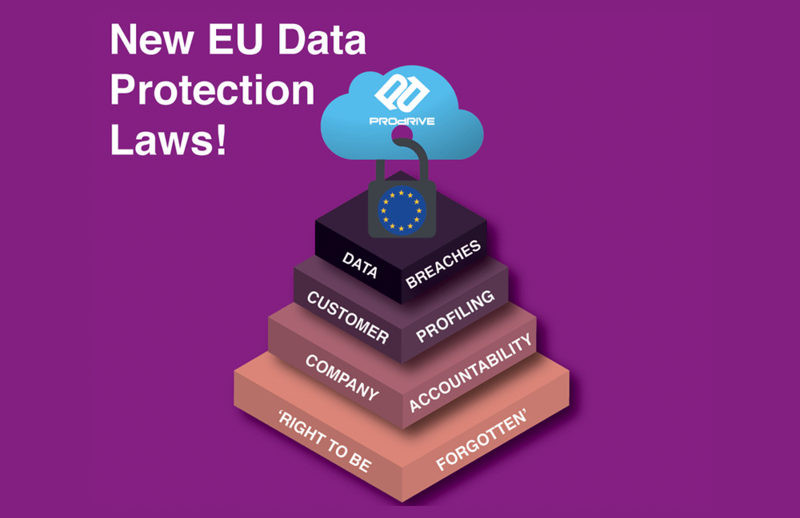 Data erasure: We’re helping companies manage their customers’ data more effectively across all their business systems so that should they receive a ‘right to be forgotten’ request, it will be possible to comply quickly and in accordance with GDPR regulations. Data breaches: Organisations face hefty fines if they don’t report data breaches within the regulator’s timeframe. Our extensive experience working with companies on their business continuity planning includes putting in place procedures for accessing the severity of a data breach and reporting them accordingly. If you would like to take part in one of our Discovery Workshops that address these issues and discuss how data protection regulations will impact your business, please register here or contact me directly for more information on sales@prodriveit.co.uk or 0330 124 3599.